Create a unique style with this wood wall decoration ! 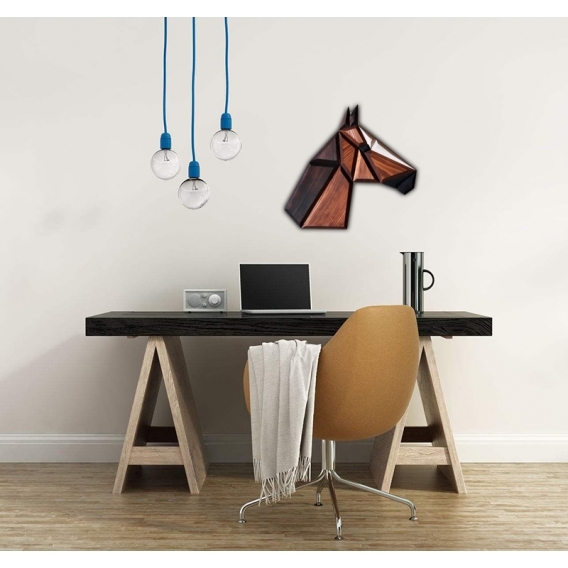 This modern wall decoration shows an original horse. Made of spruce wood this design wall deco is hand made. The dimensions of this horse head decoration are 46 x 48 cm. 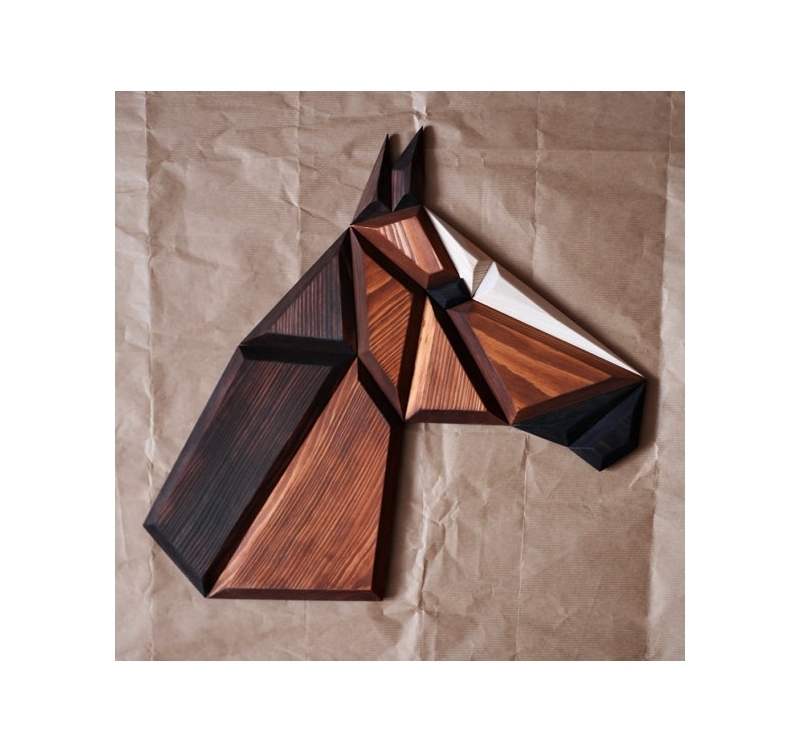 For all you lovers of horses and wall decoration, Artwall and Co proposes you this animal wood deco showing a horse. With its cream, black and white colours this design wall decoration will be perfect for a child’s bedroom. You will notice the attention paid to details of this contemporary wall deco entirely hand made. This horse head wall decoration has a string hanger to make its hanging up easy. Please note that each home decoration may differ in grain. Free delivery in Metropolitan France and Belgium for this modern origami animal head !